It's that time of year again, where we struggle to buy the perfect gift for that special [fill in the blank] in your life. This year, the Nerds of a Feather, Flock Together crew is teaming up to bring you their favorite book, video game, board game, Star Wars, and toy picks to help make the process easier. Stop by each day this week to see our suggestions. This is a must have for any Harry Potter fan. 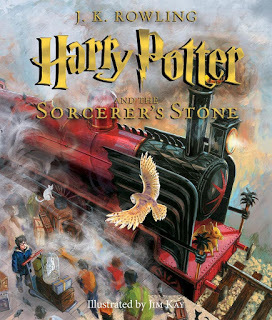 It is a beautifully illustrated edition of the first tale in this beloved series. The book itself is almost coffee-table size, the construction is sturdy and the pages are heavy and glossed. Every page has some sort of illustration, at the least in the form of water marks, and most are lavishly decorated. The plan is to release one illustrated book per year for the next six years, so now is a great time to start a holiday giving tradition. For teasers of the illustrations, click here. The sequel to Blindsight [which can be read for free in a number of formats here] was easily my favorite book this year, and a novel any hard sci-fi fan should not miss. It has zombies, post-humans, enhanced humans, one “baseline” human, and a vampire in search of angels, or aliens, or both. 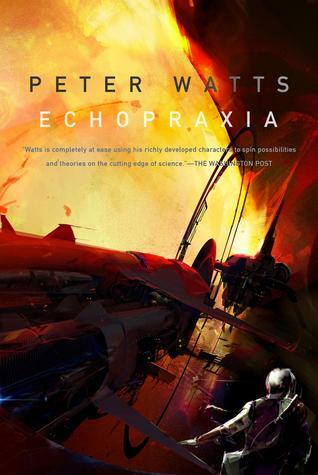 And when you finish Echopraxia, you can follow it up with any of its many references, because Watts did his research. It’s a novel that will hold you in its grips long after you’ve finished, as long as you can hold on for the ride. It is a little dense on scientific terminology, but absolutely worth it even if you don’t understand every single word. Here at Nerds of a Feather, we like books and support the rights of authors who push boundaries and challenge convention. There was a time in the recent past when we would've been very much outside the mainstream by expressing a sentiment like that — a time which happened to coincide with an explosion of creativity in many of the genres we like. For those of you who haven't spent a lot of time exploring the history of comics, the story of EC Comics is an exciting, complicated, and ultimately troubling one. EC published horror, sci-fi, and crime comics in the 1950s, including titles like the still-familiar Tales from the Crypt. Bill Gaines, EC's publisher, testified in front of Congress, trying to push back against the process that resulted in the decades-long censorship of comics under the Comics Code Authority. And thanks to the good people at Fantagraphics, we can still see what all the fuss was about. The Fantagraphics EC Comics Library is an ongoing series of curated volumes of EC's titles, collected around themes or artists. These books are fantastic. I have two volumes, and recommend them highly to any fan of vintage genre material. They're available in hardcover volumes and digitally through Comixology. In particular, I can recommend Judgment Day and Other Stories. The title story is an anti-segregation fable set in outer space with robots. Can you imagine the set of balls it took to publish an anti-segregation story over three years before Rosa Parks refused to give up her seat on the bus? For the lover of fine Collected Editions in your life…. The Folio Society’s illustrated collector’s edition of Dune is an essential volume for either the serious Dune fan or for anyone who appreciates books as art themselves. 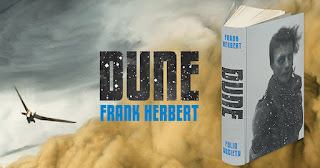 The Folio Society published this edition of Dune to celebrate the novel’s 50th Anniversary and it features 11 gorgeous full color illustrations from Sam Weber as well a number of black and white pieces throughout the book. This edition is a touch on the spendy side, but it is a truly fine piece that belongs in any collection. You can view some of Illustrations and purchase the book here. Oh my glob I am a shameless Adventure Time fan, and I absolutely love the work that BOOM! Studios is doing with the property in graphic form. There is an enormous amount of collections out at the moment (including the main series and the Mathematical Editions of everything). The original graphic novels are amazing and the miniseries are a delight. Need something to hold you over waiting for a new episode (or, if you’re like me and have no television, for a new DVD to be released already)? Well look no further! Want more Fionna and Cake? There’s a miniseries for that. Want BMO and Jake solving mysteries? Yeah there’s that, too. Peppermint Butler and Cinnamon Bun solving mysteries instead? If that’s what you’re into. But wait, is there something to satisfy the deep need in my soul to see more of Princess Bubblegum and Marceline totally being into each other? YES THERE IS SO MUCH OF THAT!!!! Princesses uniting! Family drama in the Nightosphere! Seriously, for people obsessed with the show there is a treasure trove of material to consume. By some great talent and that captures the feel of the show. So yes, if you want to know what to get me this year, it is Adventure Time. All the lumping Adventure Time!